Butter Really Does Make Everything Better – That's Natural! I stopped eating margarine in college when I started doing extensive research on our food supply and experimenting with my own health. Margarine is full of (basically comprised totally of) trans-fatty acids that are an artificially-created substance that increases your bad cholesterol while at the same time lowering your good cholesterol. Don’t trust the labels – if it has hydrogenated or partially hydrogenated oils in the ingredients – it is not natural and there are trans-fats present. Butter has gotten a bad wrap for being full of saturated fat and cholesterol. Well, truth be told, you need both saturated fats and cholesterol to have a healthy body and brain – the real key is the quality of that fat and cholesterol. “Saturated fatty acids constitute at least 50 percent of the cell membranes, giving them necessary stiffness and integrity so they can function property” (Fallon, 2001). Saturated fats are a part of our body, and necessary to protect the liver, enhance the immune system, as well as protect us against harmful microorganisms in the digestive tract. Cholesterol also is present in our cell membranes – giving “our cells necessary stiffness and stability” (Fallon, 2001). Cholesterol in the precursor to Vitamin D – a vitamin that is soluble in fat – and “needed for healthy bones and nervous system, proper growth, mineral metabolism, muscle tone, insulin production, reproduction, and immune system function” (Fallon, 2001). Cholesterol is also necessary for serotonin-receptors in the brain to function properly. Serotonin is the chemical in our brain that makes us “feel good”. So when you are craving that buttered popcorn, just remember if it is a high-quality butter (preferably from grass-fed cows) and non-GMO corn – that in moderation – it is very good for you. I eat (by myself) about a stick and a half of butter a week. I use butter to cook, and I am generous in those serving sizes. I know that butter from grass-fed cows (organic is always better), actually helps fat-soluble vitamins to absorb into my cell walls. Vitamins A and D specifically – that are essential for growth and the proper development of the brain and nervous systems (and for normal sexual development) – are going to be absorbed better if I am consuming the high-quality saturated fats. Butter from grass-fed cows is a rich, yellow color – and the taste and consistency is different than your generic butter from grain-fed or soy-fed cows. 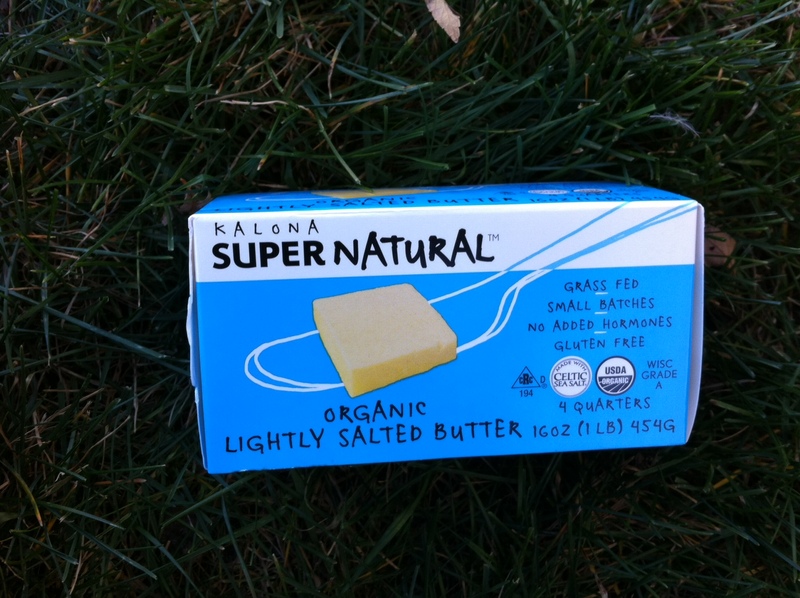 I have recently tried the brand Kalona Super Natural Butter and have loved it. It would be best to buy local from a farmer that you trust (for example, from Parker Pastures in Gunnison), however if you can’t get out to the farm, this is a healthful alternative to keep you in stock until you can get out there. Resource: Fallon, S. (2001). Introduction – Fats. Nourishing Traditions, 4-20. So true. It is great to know this grassed butter source.